Back in the good ole days Monopoly was one of my favorite board games. I’d have no problem gathering up a crew of four other players to kill away a boring Sunday afternoon. 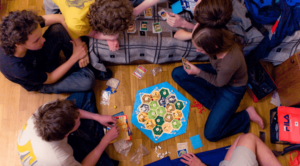 As I grew older though, being able to sit down and waste away an entire afternoon on a board game just does not happen anymore. Heck, even if I wanted it to happen, there’d be no way I could gather up four friends to waste the day with me on such a game. However, it’s funny how people suddenly jump at an opportunity to play the exact same game on a console! When I bought the PS3 Monopoly version, I didn’t have an issue at all. Everyone wanted in on it! The Playstation 3 version allows us to sit comfortably on the couch, and we don’t ever have to worry about missing pieces…plus, the loser of the game is not in charge of cleaning up the mess after the game is over. The console version of the game definitely has its advantages. Unfortunately, it also comes packed with a slew of disadvantages. 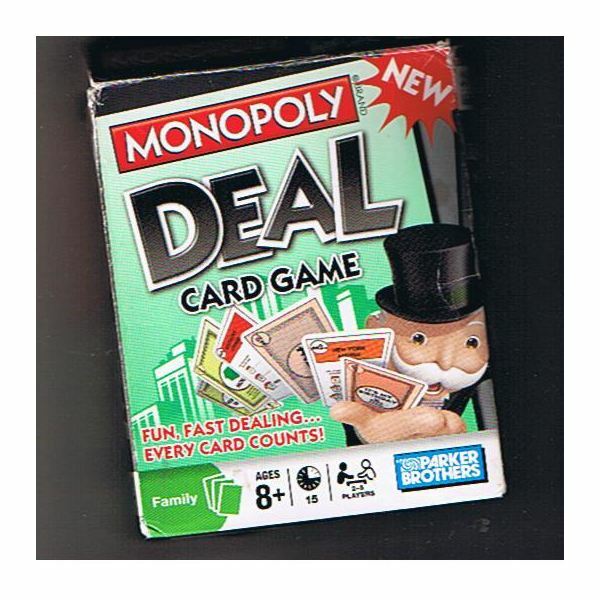 When the PS3 Monopoly starts up, players will notice a new Richest edition version of the game that you can play. Fear not though, the original standard edition of the game is also packed in as an option. Knowing that I had a new option added to the original game was nice though, and something I checked out after playing a standard game. After choosing the type of PS3 Monopoly game I wanted to play, I then had the option to choose which type of game board I wanted to play. Themes are always cool, but frankly I’m so old school that I went with the standard original edition so I wouldn’t confuse myself, or the other people I was playing up against. Once I chose the game board theme, I then got to tweak the settings of the games players. You are asked how many human players there will be, and how many computer generated players there will be. I chose 2 human players, and 2 computer players. It was a fair game, 2 brainiacs, and 2 stupid computer generated players (Or so I thought). Before the PS3 Monopoly games board loaded I imagined this awesome game board filled with all types of wicked cool graphics. A few years ago I purchased a PC version of Monopoly that only cost me $10 and the graphics were awesome. The games pieces were animated, cars would drive, horses would gallop; you know, cute, entertaining stuff. I figured 5 years later (and seeing that the game was now made into a PS3 Monopoly game), that it would stun me with its animated wonders. What I got instead was a very bland game board, with very bland, lack luster graphics. PS3 Monopoly game pieces moved with absolutely no animations added to them, and half the time I could not even see where my piece was going to land due to the ridiculous angles in the camera. Not too long into game play I got frustrated with the controls, and the game quickly began to feel like a very boring cycle of eating bland, sugar-free chocolate bars. The lack of animations in the PS3 Monopoly game is not the most annoying thing about it though, it was how I truly believed the computer generated players were cheating. I had the game pretty much won, I owned a Monopoly on every real estate on the board, yet the one remaining computer generated player managed to cross the Pass Go $200 mark 30 times (yes, I actually counted) before finally landing on one of my Monopoly’s. Magically turn after turn the computer generated character managed to only land on the free parking space, the community chest, and other spaces in which I did not own. With that said, the standard edition of Monopoly’s game play was horrendous and put me to sleep. 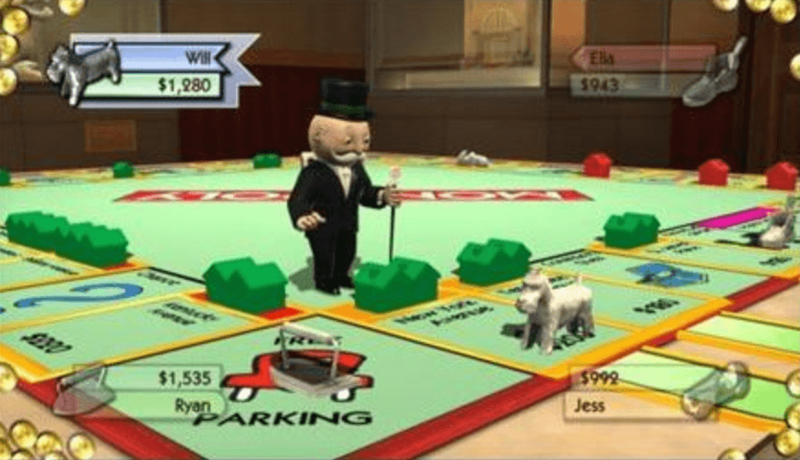 The Richest Edition is an entirely different PS3 Monopoly game added in as sort of an extra to the standard edition of the game. I saved playing the richest edition for last because I figured perhaps this new version would offer all the goods, all the greatnesses, all the ooey gooey goodness I was hoping for in the game. Unfortunately, it was a very poor addition to the PS3 Monopoly version. It basically plays out like this: You start the game by rolling four separate dice. Each dice lands on the game board on different numbers. Some numbers may be the same, as in real life. Your goal is really no goal at all, as it is a game of chance. After the four numbers on the dice are revealed the game jumps into a new game, sort of like Mario Party. The mini games are very boring and the controls really work against you while attempting to win this PS3 Monopoly version. 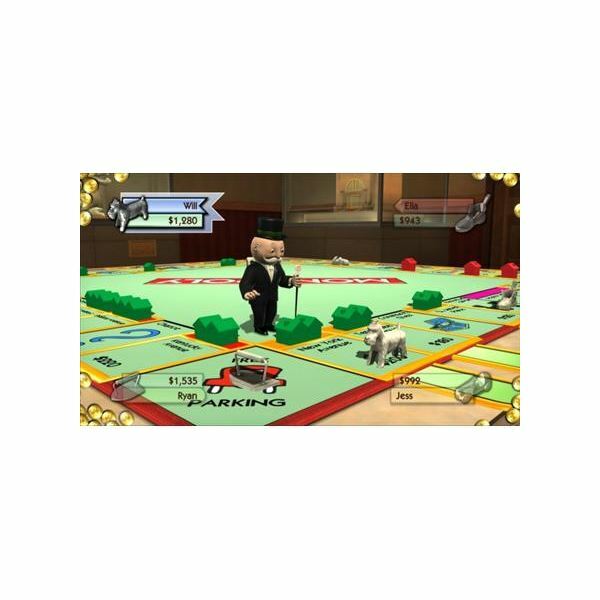 If you win the mini party like game, you will then be taken back to the Monopoly game board where you will then chose one of the dice pieces. You of course want to choose the dice with the highest number in order to be assigned new Monopoly game spaces. Randomly the computer will assign you places like Boardwalk, utilities, and so on. The Richest Edition in PS3 Monopoly could have had potential had the mini games been slightly fun. However, not a single one of them seemed to work properly with the controls, and you are thrown into the mini game with no understanding of how to play them. The odds of you coming in first place is just as random as the spaces the computer chooses for you to gain ownership of. The whole thing just felt like an edition of chance, and I was not digging it. Someone gag me! The graphics in PS3 Monopoly in the main start up of the game looked so very pleasing. 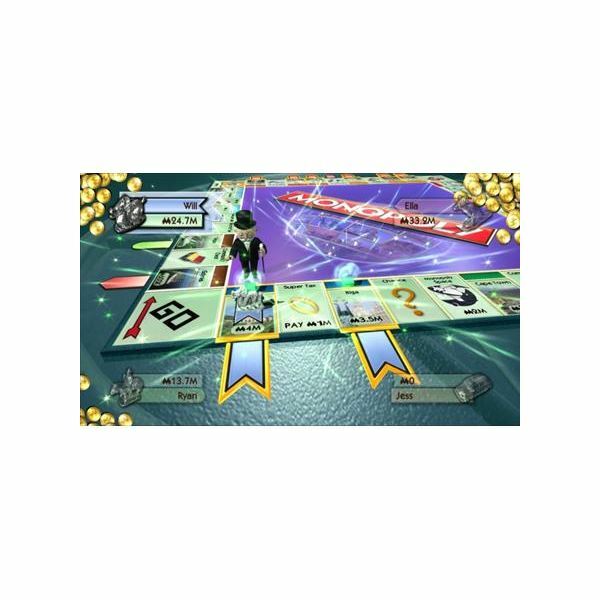 It was such a shame that they took away that look the moment the actual gaming began in PS3 Monopoly. Like I said, I bought a PC version of Monopoly back in the late 90’s that served better graphics than this game. I was actually very shocked to see this game (that was so highly talked about in previews), deliver such a bland game. The Playstation 3 is capable of delivering graphics that will cause your jaw to drop in amazement; as for Monopoly though, the entire thing just seemed thrown together by developers who didn’t pay any attention to simple details that would have amazed fans of Monopoly games. Animations in the game pieces for one, would have been great, but alas my friends, they didn’t bother with it. The controls in PS3 Monopoly were one of the biggest annoyances of all. When I would press a button, the game at times would take a 10-second delay before responding to my commands. A lot of other additions were just not needed, and the games would drag on when it didn’t need to. Another great annoyance in PS3 Monopoly was having to see the every move of the computer generated players. I did not care to see when they were making a property trade, or buying a parcel on the board, yet I was forced to sit through their turns and it was oh so boring. Each turn could seriously take up to three minutes, real time! Ouch! Yawn, Zzzzz…. After playing just one game of the standard and richest edition, I had enough. The replay value would have been through the roof had the game been executed properly. Due to the very long computer generated turns, and the whacked controls, I could not bear the game much longer. I have not even bothered to place the Monopoly game into my Playstation 3 for another round at it. It was just far too frustrating for me to even want to. It’s such a shame the way they presented Monopoly for the PlayStation 3 to fans. With the new technology they have in gaming these days they could have honestly done so much to wow fans of the original board game, yet all they did was deliver us a quirked game with nothing new and exciting added in to the mix. Worst of all, the controls are horrible. However, not nearly as horrible as the way the computer generated player seems to miss all of your Monopoly land mines and breeze right over them. Your hotels and houses become pretty useless when it comes to killing off the competition. As far as recommending Monopoly for the Playstation 3 to other users…I’d have to say no. In fact I don’t even think I could recommend wasting $8.00 on renting this one.